The North Fork can fairly be called the down-to-earth “un-Hamptons,” a place to slow down and enjoy farmland vistas, salty air and small-town life. Flat country lanes dotted with produce stands and wine-tasting rooms beckon. 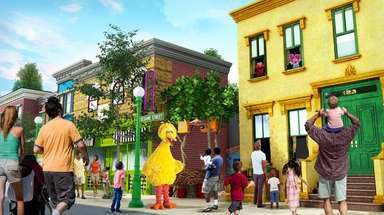 In recent years, sophisticated restaurants, award-winning microbreweries, funky lodgings and quirky shops have cropped up, enlivening the scene. Here are some suggestions for staying, eating, drinking and exploring this quintessential Long Island destination. 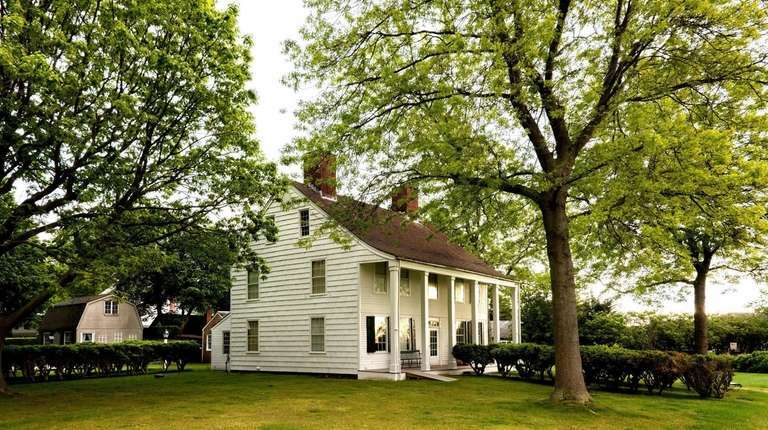 This 20-room hotel takes advantage of Riverhead’s location as a pit stop on the way to the North Fork. The building includes the restored 1905 home of Suffolk County Sheriff Henry Preston and a sparkling new addition. 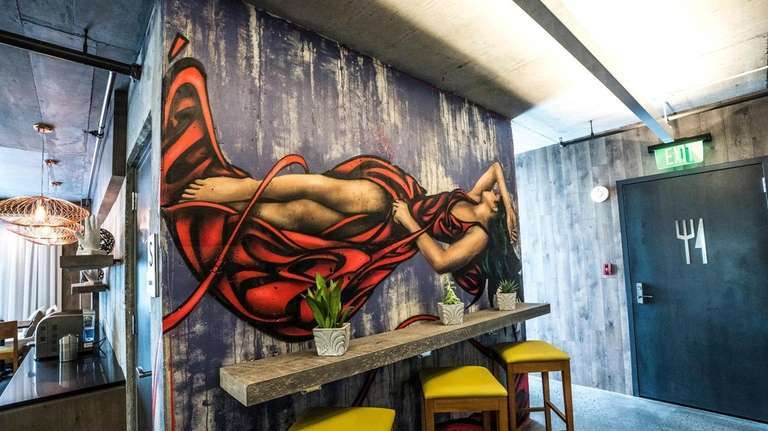 The hotel has sleekly decorated rooms and suites that feature Scandinavian-style furnishings, king-size beds with luxury linens, Lavazza espresso machines and complimentary Wi-Fi. 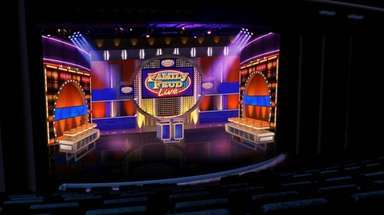 Rooms from $233 per night. 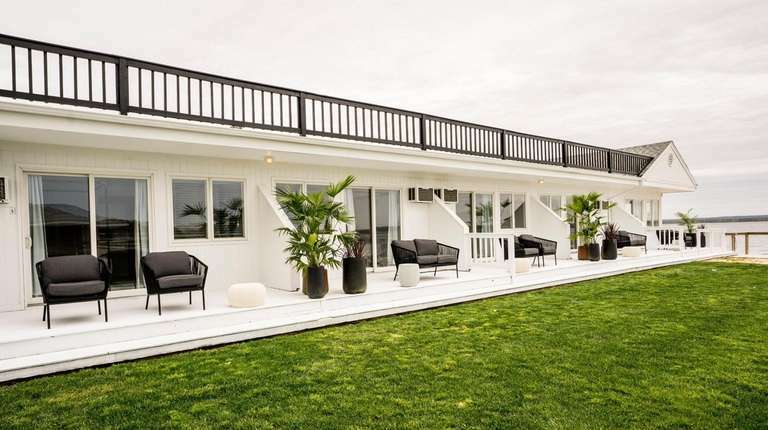 This 18-room boutique hotel overlooking Peconic Bay has luxury touches: in-room espresso machines, Frette linens and bathrobes, minibars stocked with premium drinks and snacks. Private water-view decks lend romance. The stunning beach, outfitted with chaises, is the perfect place to relax with a bottle of wine. A garden with exotic plants, hammocks and a boccie court provides another stylish spot for recreation. Rooms from $259 per night. Innkeeper Marilyn Marks has filled her 1860s-era home with collections of art and antiques. Five guest rooms, some with fireplaces and Jacuzzi tubs, are lavishly decorated too. Marks’ training as a landscape designer is evident in her formal gardens. The riotous floral display in front of the inn often stops those just driving by. 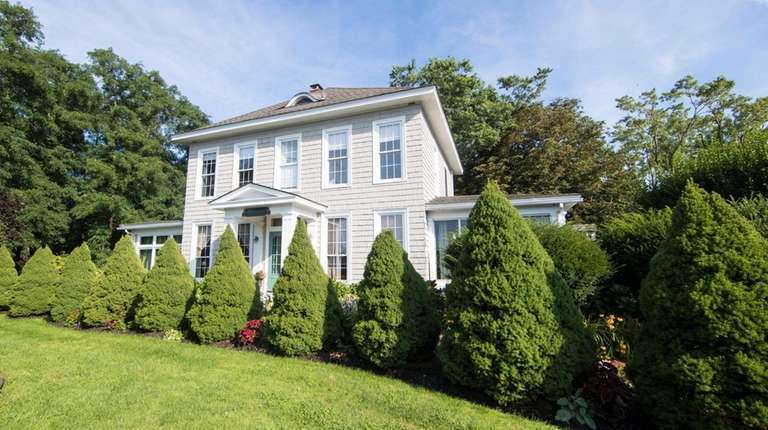 There are two private beaches, one on Long Island Sound and another on Hashamomuck Pond. Rooms from $225 per night. A vintage 1953 motor court has been transformed into a family-friendly, design-forward beach resort. All 55 rooms and suites have a view of the water with a shared or private deck. 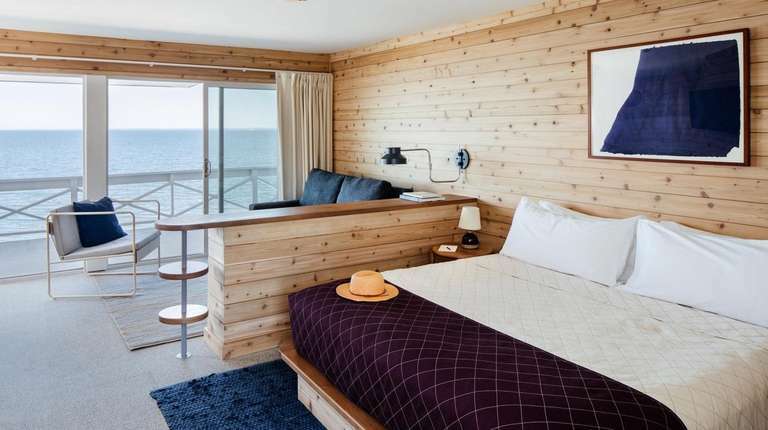 Rooms are decorated in pared-down nautical style, with cedar shiplap on the walls, ropelike navy rugs and rich burgundy bedding. An atmospheric piano bar is adjacent to the Halyard restaurant. 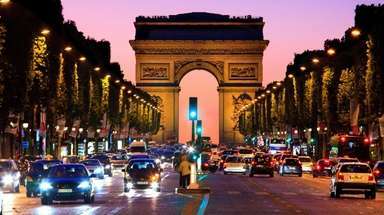 Rooms from $205 per night. 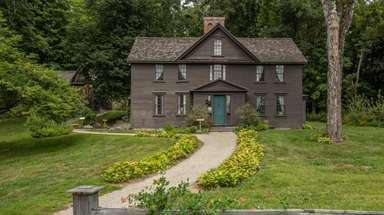 This grand old house on the easternmost end of the North Fork has beamed ceilings, handsome wood moldings, pocket doors and an impressive fireplace in the welcoming entry hall. Five rooms are old-fashioned but with renovated baths. 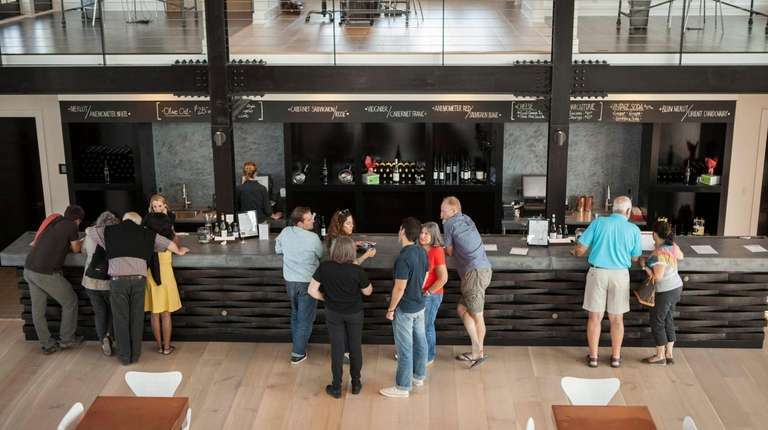 Owner Joan Turturro, a French Culinary Institute grad, will provide dinners on request, as well as boxed lunches and picnic baskets to enjoy at the wineries. Rooms from $275 per night. If you are looking for a bite to eat and even a place to stay, head to Shinn Estate on one of the prettiest lanes on Long Island, Oregon Road. A shady patio and quaint tasting room provide tables for lingering over an award-winning bottle and a plate of charcuterie, and an attached B&B offers fresh rooms overlooking the vines. Castello di Borghese, formerly Hargrave Vineyard, is the North Fork’s oldest winery, founded by Alex and Louisa Hargrave in 1973. Purchased by Ann Marie and Marco Borghese and renamed in 1999, it is now run by the Borgheses’ son, Giovanni. 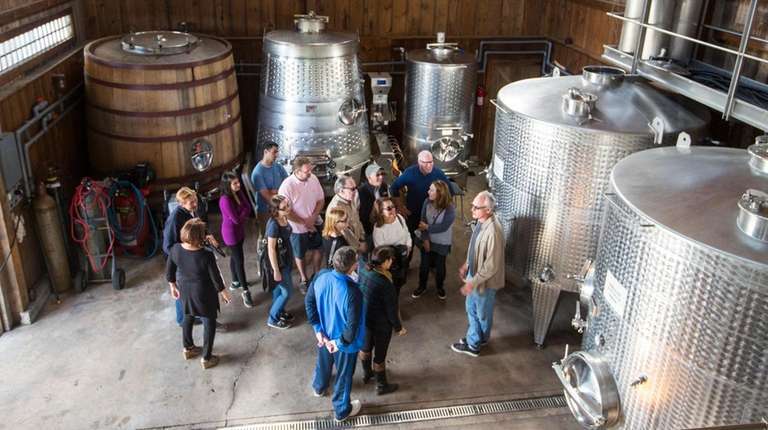 Take the Founder’s Tour (reservations required) to get a sense of the region’s winemaking history and to sample reserve wines paired with artisanal cheeses. 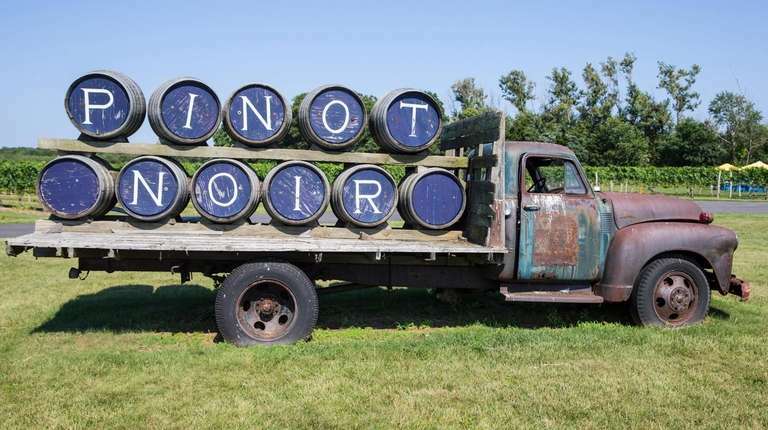 There’s not a more dramatically situated vineyard than Kontokosta, where an airy tasting room, patio, and a wide lawn with picnic tables overlook the Long Island Sound. 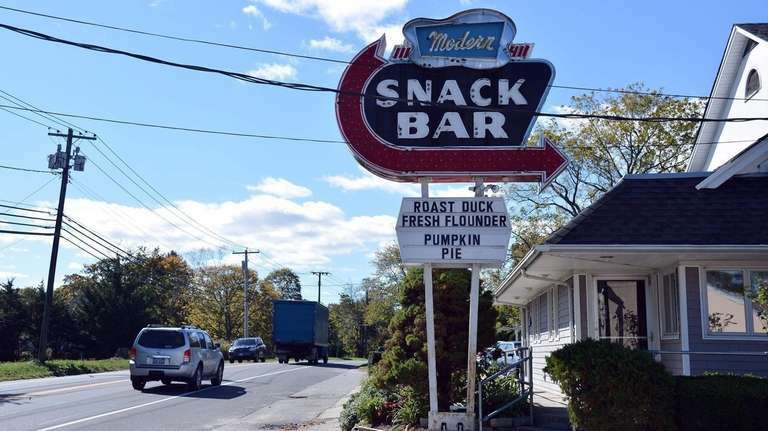 Long before there were farm-to-table restaurants or wineries on the North Fork, there was the Modern Snack Bar, and little has changed since it opened in 1950. The décor — heavy on jauntily lettered signs — retains its mid-20th century charm, the waitresses are seasoned professionals and the menu features such throwbacks as sauerbraten, chicken potpie and meatloaf, along with excellent Long Island duckling, fried Peconic scallops and mashed turnips. Love Lane Kitchen is one of the North Fork's busiest restaurants, equally popular among locals and visitors. The breakfast menu features all the classics — pastries, eggs, granola, pancakes — made with care and creativity. At lunch, sandwiches take a global turn. The dinner menu is less casual; you might find homemade pasta, pan-seared tilefish or Moroccan-inspired Long Island duck tagine. Breakfast and lunch seven days a week. Dinner Thursday through Monday. Charlie Manwaring’s seafood market and very informal restaurant have practically achieved landmark status on the North Fork. The takeout business is more than brisk. But you may dine in leisurely, too, from a menu that could double as a calendar for whatever local seafood is running. He sends out a delectable warm lobster roll, a fried oyster wrap with bacon, fried clam strip tacos, and sesame-seared tuna tacos. Dip a spoon into both the New England and Manhattan clam chowders. Chef Stephan Bogardus succeeded the late Gerry Hayden at this lovely restaurant, and he has kept it the essential dining room between Riverhead and Orient. Subtle, seasonal and superb, it offers a balance of refinement and reverie, in summery dining rooms. His six-course tasting menu is a memorable affair. Bogardus’ hits go from white asparagus soup with rhubarb and crème fraîche to fish stew with lobster, cod, and a saffron emulsion. Claudia Fleming’s desserts — from her chocolate caramel tart, to warm sugar-and-spice doughnuts, to coconut tapioca with passion fruit sorbet, to a coffee-toffee ice cream sandwich — are delectable. 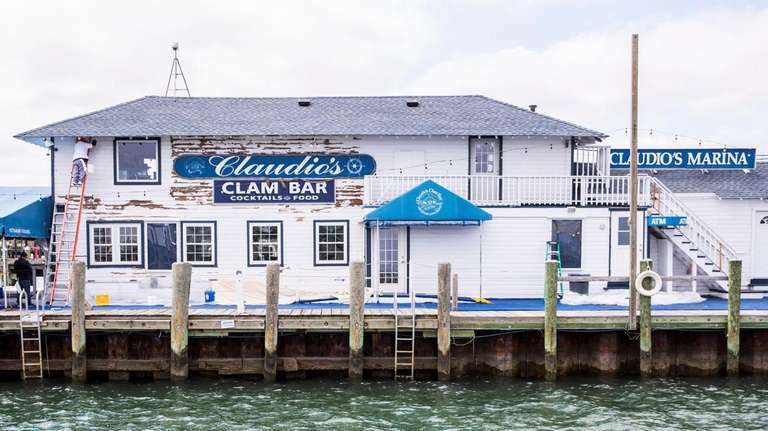 Greenport's oldest restaurant, founded as Claudio's Tavern in 1870, was under the ownership of the same family for 148 years until it changed hands in 2018. The 2-acre waterfront parcel still includes two casual outdoor eateries, and the more formal Claudio's restaurant retains its vintage style. 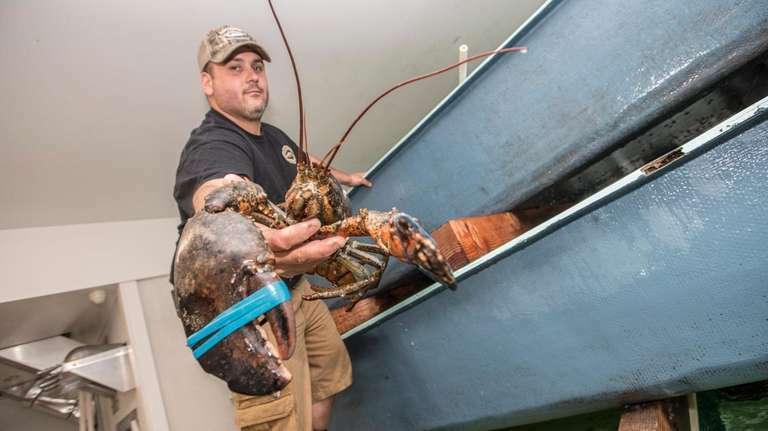 The traditional seafood menu has been imbued with some of-the-moment dishes, but the lobster roll and steamed lobster still star. North Fork oysters couldn't be any fresher. 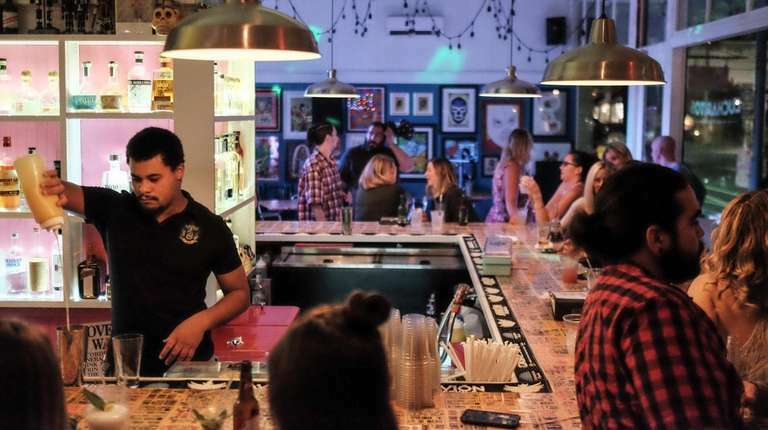 This rollicking taco and tequila bar is named for the colorful Mexican wrestlers known as luchadores. Their fearsome countenances adorn the walls while terrific tacos top the plates. Filled with meat, fish, shrimp or even mushrooms, they come cradled in soft-corn tortillas and topped with salsa verde, pickled radish, chopped onion and cilantro. Other menu items include Cuban sandwiches and pork huaraches (thick, shoe-shaped tortillas). 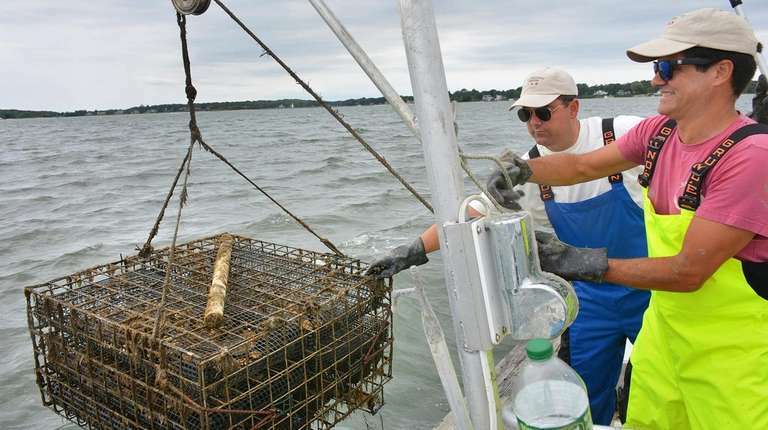 Take a two-hour tour of the Southold Bay Oyster Farm, which includes a look at the spawning process in the hatchery, a look at the oysters’ grow-out phase and a demonstration on the commercial dock of how market-size oysters are farmed. 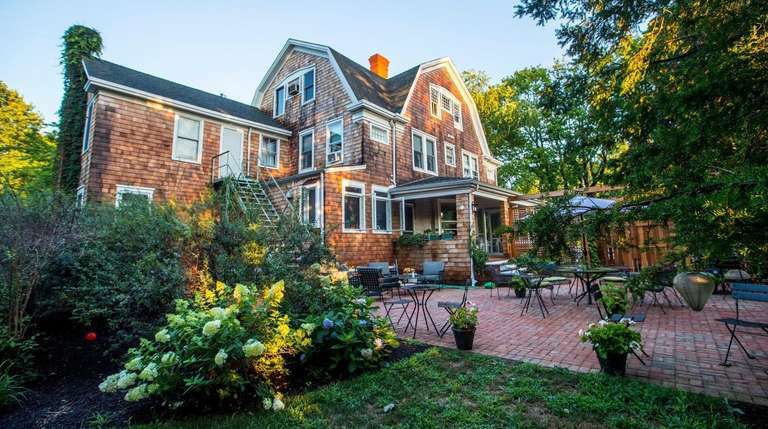 The tour concludes with a walk to the beach and a waterfront tasting of the farm’s signature Southold Shindig oysters paired with three local wines. $75 per person, advanced booking required. 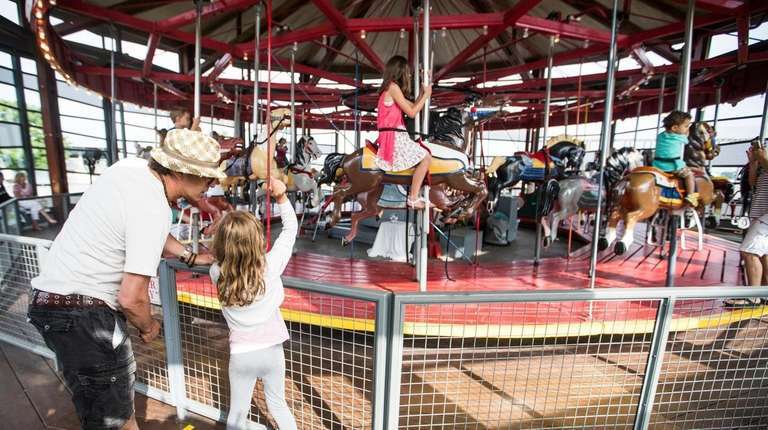 A restored 100-year-old merry-go-round overlooks Greenport Harbor and is covered by a glass shelter for rainy days. Originally part of a traveling carnival, it features 18 antique hand-carved wooden horses and 12 cast aluminum horses from the 1930s. 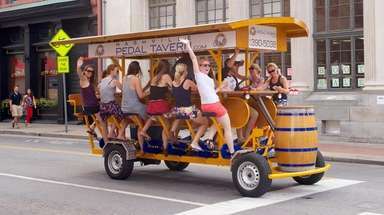 At $2 a ride (and a free ride if you grab one of the brass rings), it’s a budget choice for treating your kids. Open weekends from Labor Day through Memorial Day, and every day in summer. 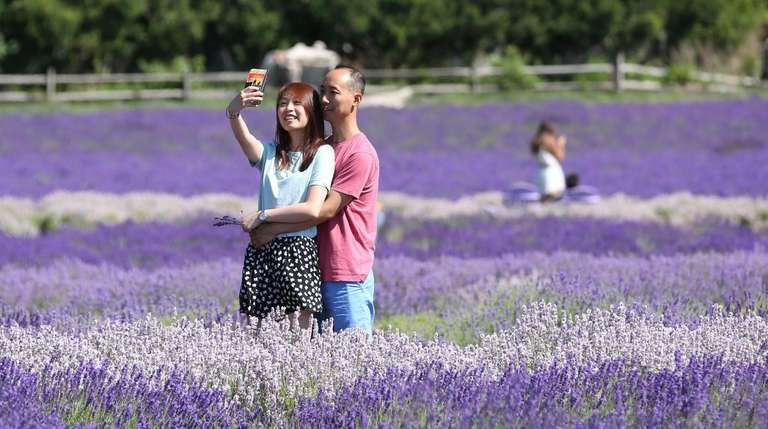 This family-owned farm grows French and English lavender. There is a shop that offers seasonal fresh-cut lavender, dried lavender, lavender plants, artisanal body products and honey from the farm’s own hives. For a fee of $9 on weekends, $6 on weekdays, you can enter the fields. Bring a camera to capture the unique spectacle of 80,000 plants on 17 acres. The English lavender blooms in mid-September; French lavender in June and July. Open 9 a.m. to 5 p.m. daily through September; 9 a.m. to 5 p.m. Thursday through Monday in October. This grouping of historic buildings in the heart of Orient that tells the story of the village. Its extensive collection of over 14,000 items ranges from Native American artifacts to farming and fishing tools to whalebone objects. The Village House, formerly a boardinghouse for summer visitors, contains exhibition galleries. The school room of Old Point Schoolhouse, built in 1873, also houses changing exhibitions. Shows have included local portrait paintings, quilts, ceramics, baskets and model ships. 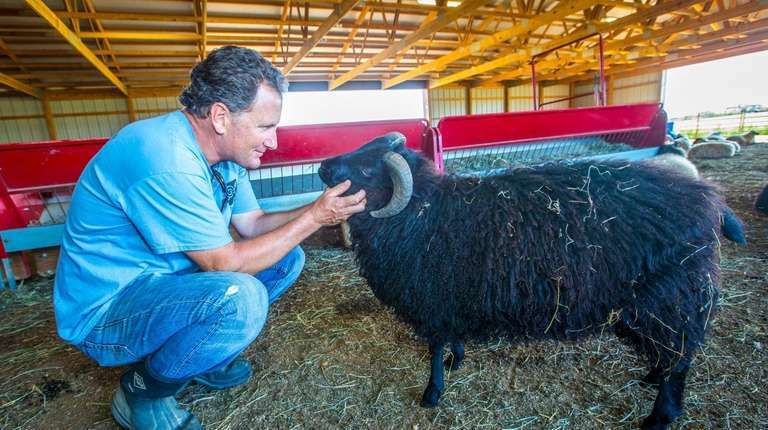 Pick up a hand-knit scarf made with wool from the farm’s sheep, or soap made from the farm’s lard, along with grass-fed meat and pastured eggs. There’s a food truck out back for al fresco meals overlooking the fields. Baskets full of vintage photos, antique cabinet pulls, and cutlery sit on farm tables and inside rustic armoires at White Flower Farmhouse. 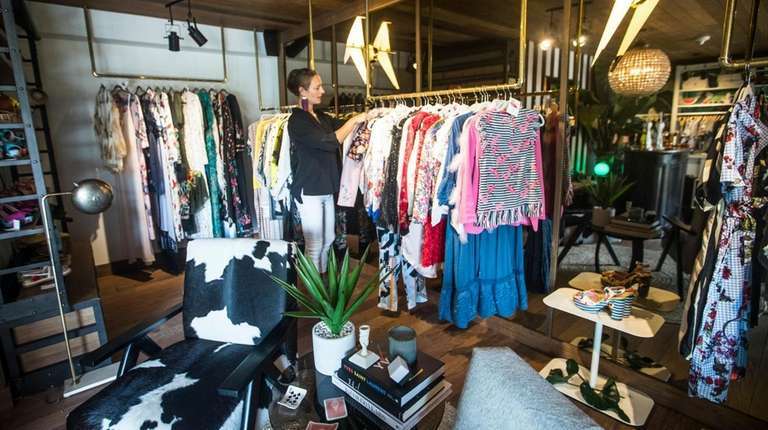 When you’ve had enough of rustic and vintage, check out designer Alex Vinash’s boutique, which doubles as the reception area for the American Beech Hotel. You’ll find the designer’s whimsical fashions, including beaded sweaters, feather-trimmed T-shirts and fringed dresses, and startlingly reasonable prices. 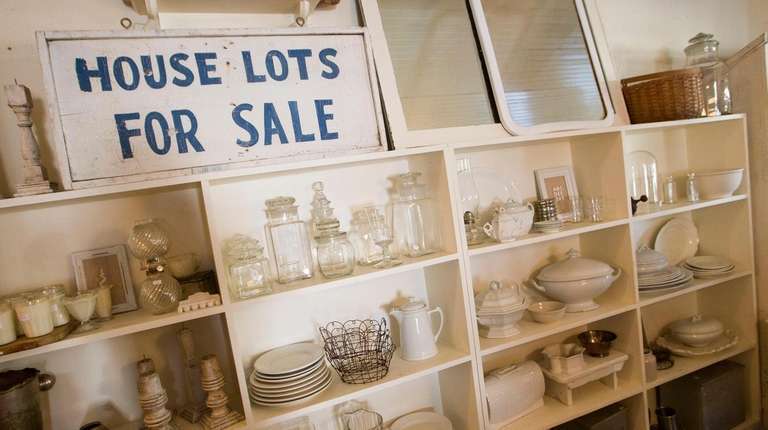 Orient-themed antiques and flea market finds stand out at the Old Orchard Farm Store. 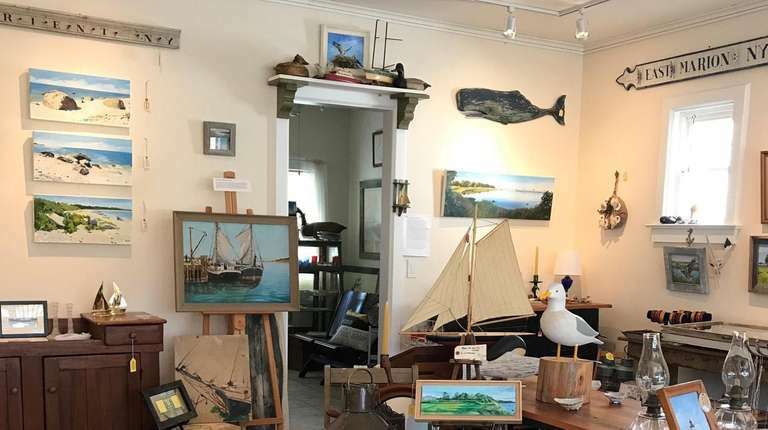 Choose from an impressive collection of vintage oyster platters and Long Island maps, or browse a case filled with sterling silver whale, sailboat and seashell pins. 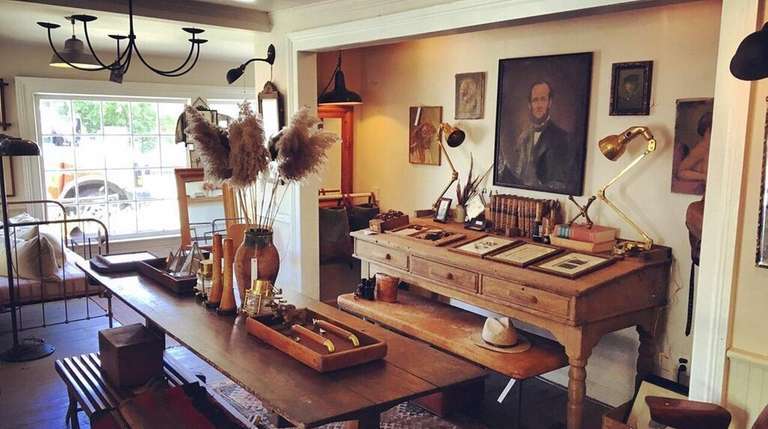 Shop for an intriguing mix of country antiques, textiles and bric-a-brac for furnishing a North Fork retreat.